The holiday season is in full swing! 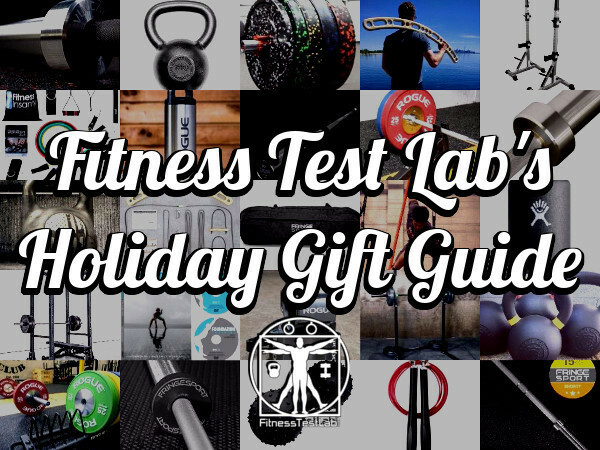 I've put together a list of some of the best fitness-related gifts, with ideas for every budget and fitness level. 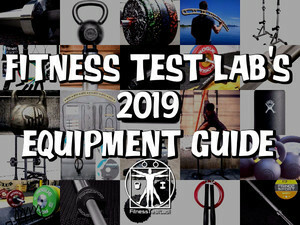 I've tested and reviewed a lot of equipment in my modest home gym, and I've put together a list of the best stuff I've found. Everything on this list is something I own, have owned previously, or would own if I had more money and space. Don't leave out your friends and family! Click to share! The Dead Wedge makes adding or removing plates between deadlift sets really easy. I like deadlifting, and I've got one of these little gadgets instead of a full blown deadlift jack. It's functional, inexpensive, and easy to store. Jumping rope is as old-school as you can get in terms of simple functional fitness. A simple speed rope is a great calorie burning option that works for nearly any fitness level. 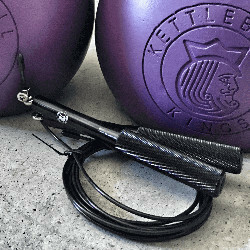 I have a speed rope from Kettlebell Kings and it's a great high quality option. 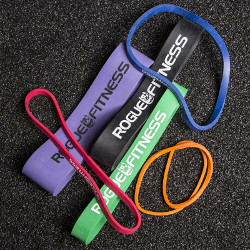 These bands are a 12" version of their larger cousins, and they're great for mobility and strength training work. They come in pairs, so I keep one set at work and one at home. I always travel with a couple of these bands as well, since they're easy to pack and extremely versatile. Pull ups are a very effective and efficient upper body workout, but not everyone has easy access to a pull up bar. 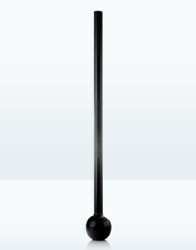 This deluxe pull up bar can be quickly mounted in a doorway and removed afterward for easy storage. I used one in the past, before I figured out a way to mount gymnastic rings on my ceiling. 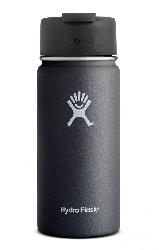 There are many companies making vacuum-sealed tumblers, but Hydro Flask is my favorite. Not only did it outperform the competition in my testing, the sealable lid makes it a perfect bottle to carry with me while traveling. Read my full review here. Onnit is probably best known for supplements, but they do have a line of unconventional fitness gear as well. I have several of their steel maces that I use frequently for warming up and general shoulder health. 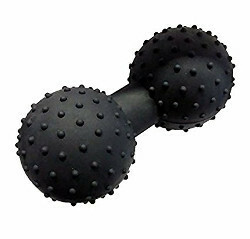 The Physio Ball from Christian’s Fitness Factory provides lots of therapeutic benefit in a small package. It looks a bit like a medieval torture device, but don’t let the look fool you – it actually feels really good for use on stubborn tissue. Read my full review here. A sandbag trainer is a great functional fitness tool. 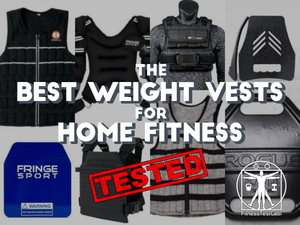 I've got one and although I haven't reviewed it yet, I use it regularly because it's an efficient and cost-effective addition to my home fitness arsenal. You can see a couple of pictures of mine here. A landmine is a great low-cost option for increasing the number of workouts you can do with a barbell and bumper plates. 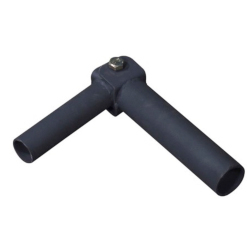 The Titan Fitness post landmine is much cheaper than the same design by other companies and works just as well. I own one and I use it frequently. A good set of resistance bands offers endless ways to beef up your training regimen. 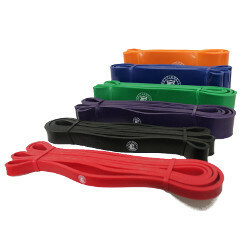 Many companies sell resistance bands, but not all of them are high quality. I have this set from Kettlebell Kings and they've stood up to every abuse I've put them through. 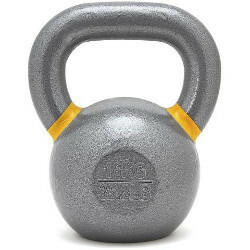 Kettlebells make a great addition to a home gym, and Fringe Sport offers an affordable high quality option in their line of One Fit Wonder kettlebells. Read my full review here. I've written a number of articles on Foundation Training in the past, with a focus on how much it helped me work through a painful back injury. I own this DVD set and the level of instruction and production quality is top notch. 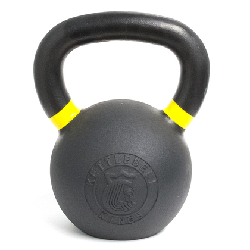 The Kettlebell Kings Powder Coat kettlebell is a high quality kettlebell that provides an excellent balance between durability and usability. 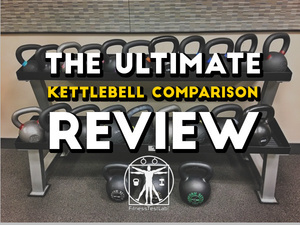 At the time of this writeup, Kettlebell Kings is the only company offering the option to build your own set, with an increased discount applied for every kettlebell added.. Read my full review here. 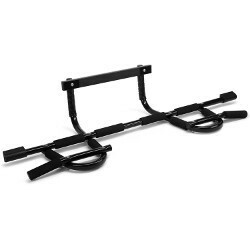 The T-Grip Shorty Bar is a really good multi-use bar for metabolic conditioning (metcons), circuit training, and accessory work. It also makes a great travel tool for workouts on the go. Read my full review here. 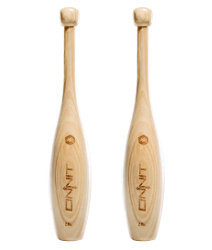 Onnit is probably best known for supplements, but they do have a line of unconventional fitness gear as well. I have a pair of their wooden Indian clubs that I use frequently for warming up and general shoulder health. 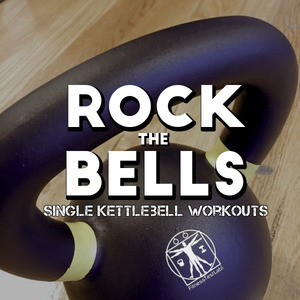 Kettlebell Kings makes some of the best kettlebells available, with free shipping offered on everything. 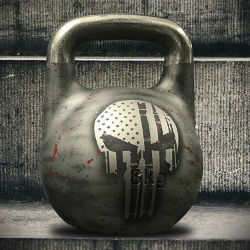 They've recently introduced an option to add a cerakote coating to any kettlebell, including custom design options. No one else is making cerakote-coated kettlebells yet, so a cerakote kettlebell would make a very unique and long lasting gift. Read my full review here. 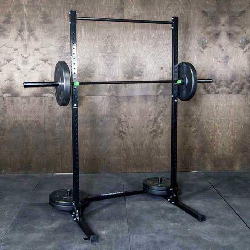 American Barbell makes some of the highest quality barbells on the market, and this bar is no exception. 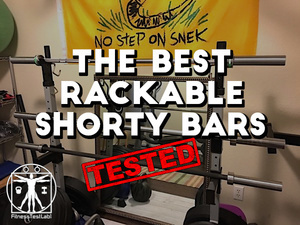 I reviewed the Cerakote Training Bar earlier this year and it is one of the best all around bars I've tested so far. Read my full review here. 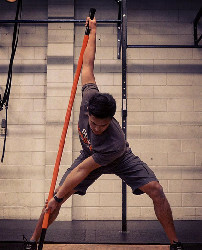 Stick Mobility is an innovative movement system designed to help increase your functional range of motion by combining certain aspects of strength training with mobility training. This is done with the use of specially designed sticks that provide leverage for extending your range of motion beyond what would ordinarily be accessible. Read my full review here. 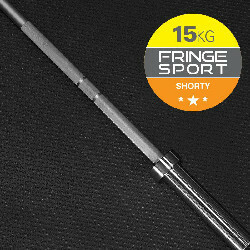 The Fringe Sport Shorty Bar is one of the few rackable 6ft barbells with a full 52" shaft width, which means it can be used for Olympic lifts in addition to regular powerlifting. I own one and I find myself using it more often than my full size bars because it's the perfect size for my small home gym. Plus, it's extremely strong, rated for over 400lbs of weight if you use iron plates! Read my full review here. The CFF Keystone Bar is a great Olympic weightlifting bar at a great price. It offers features and performance normally found at a much higher price point, without feeling like corners were cut on quality. The spin is incredible, the whip is great, and the soft knurl makes this bar easy on the hands for high-rep sessions. Read my full review here. 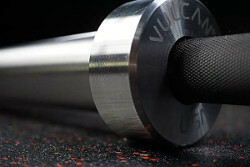 Vulcan Strength Training Systems makes excellent equipment at a reasonable price point, and personally I don't think they get the attention they deserve. 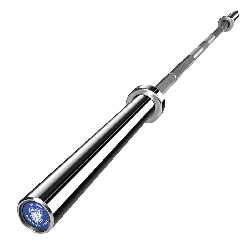 If your focus is strictly powerlifting, the Absolute Powerlifting bar is a fantastic choice. 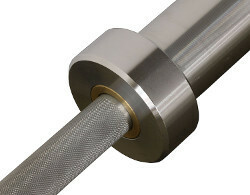 With a tensile strength of 221k PSI, this is one of the strongest powerlifting bars available. Read my full review here. 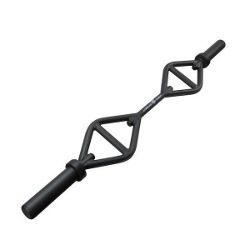 The Yoak is very well made and versatile stability training tool. If you’ve never done any kind of instability training, consider that life is inherently unstable. Whether it’s lifting children, moving furniture, or doing yard work, we rarely find ourselves in situations that require a perfectly balanced application of strength. Read my full review of the Yoak here. 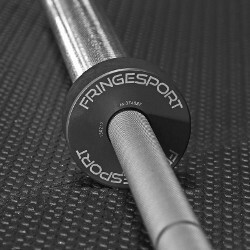 The Hybrid Bar from Fringe Sport is an interesting beast, blurring the lines between a powerlifting bar, a WOD bar, and an Olympic bar. 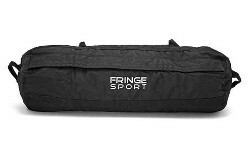 Usually these kind of attempts to create One Bar To Rule Them All involve big compromises, but Fringe Sport has somehow managed to construct a bar that can be all things to most people. Read my full review here. 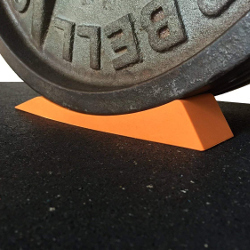 The Vulcan Strength Alpha bumper plates are unique in the market by being the only virgin rubber plates that can be dropped on concrete or other rough surfaces without risk of damage to the plates. Other bumpers made for outdoor use are usually made from recycled rubber, so the Alphas are a higher quality product and less expensive. I have a set of these that I've not yet reviewed but I highly recommend them. Foldable squat racks are a relatively new creation, but they're definitely a welcome addition for those of us who want the benefit of a full rack but are limited on space. 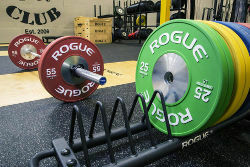 The Rogue RML-3W is reasonably priced and perfect for a small home gym! 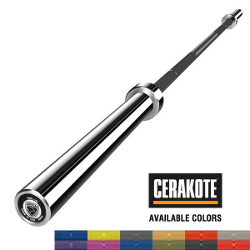 A barbell made for the serious Olympic lifter, American Barbell's Stainless Bearing Bar incorporates a host of proprietary features unlike any other on the market. Made in the USA with a lifetime warranty, this is way more barbell than I'll likely ever need but I sure wouldn't mind having it in my home gym arsenal! 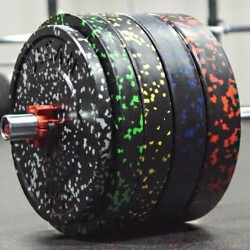 These are the bumper plates that get used and abused in the CrossFit Games, so they can definitely stand punishment. Are they overkill for a typical home gym? Most definitely. Would they make a great addition to a home gym anyway? Absolutely! I own a set of these plates and I can personally attest to their awesomeness. 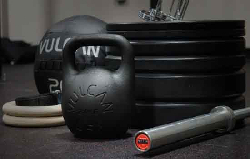 Vulcan Strength makes excellent equipment, on par or better than many of the leading brands in the market. 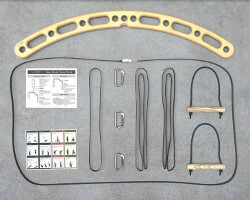 This set includes all the basic equipment needed to outfit a home gym for CrossFit-style workouts. Do you know someone that wants to build a home gym but doesn't know where to start? This package is designed for just that person and includes all meat, no potatoes. 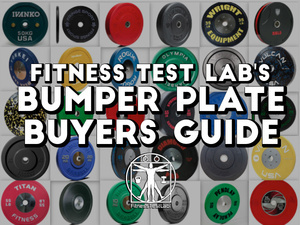 Just the basics: a barbell, bumper plates, collars, and a squat rack. 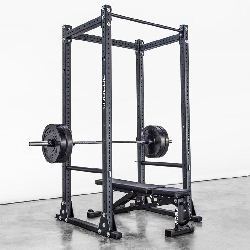 I like my squat stands and they work great for my small home gym, but if I had more space I'd go with a power rack for a higher degree of safety. The RML-390F is free standing, so it's more versatile than racks that need to be bolted to the floor. 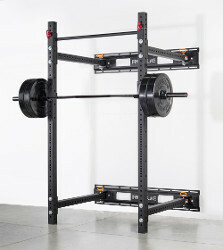 If I had the space for a power rack, this is the one I'd buy.